Anyone who’s made the drive between Yas and Saadiyat islands in recent months may have noticed an enormous ‘Al Jubail Island’ sign, and wondered what’s happening there. Well, now we know, as Jubail Island has officially been launched in the capital. 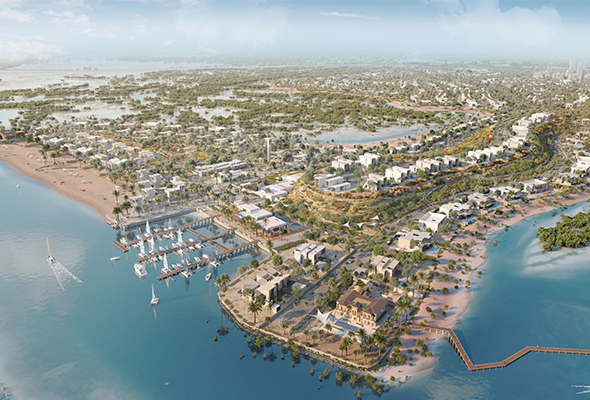 A 400 hectare development, Jubail Island comes at a cost of Dhs5 billion and by 2022, could be home to more than 5,000 people, according to developers. The plans also feature a downtown area with a hotel, showpiece fountain and high street-style souk. Two schools, a sports complex, six mosques, and bike paths will connect each community. Plus, there are spaces available for a luxury resort – to be located on a private part of the island – as well as a marina and 10 kilometres of waterfront. 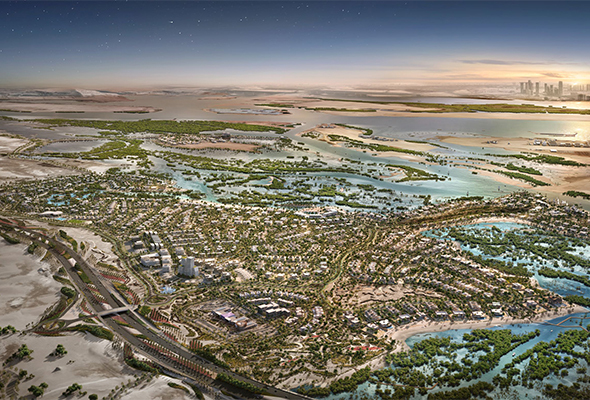 “The launch of Jubail Island is inspired by the founding father of the UAE, late Sheikh Zayed bin Sultan Al Nahyan, and his abiding love for nature and its preservation,” said Hamad Rashid Al Nuaimi, chairman of the JIIC board of directors. 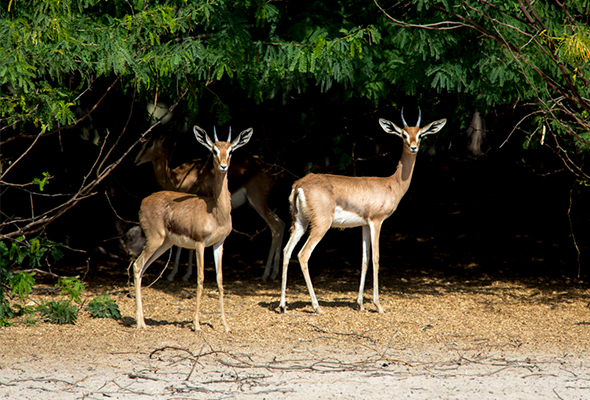 What about the existing flora and wildlife on the island? According to Richard P Russell, JIIC’s chief operations officer, no existing mangroves will be disturbed during the development, and a further 25,000 new trees will be planted on the island. And, despite building 400 single family, 400 multi-family homes, and a downtown section where apartments buildings will be limited to 10 stories, the developer also assures that the assortment of wildlife who call the island home will not be forced to move. That includes flamingos, gazelle, sea turtles, crabs and migratory birds. “It’s quite a unique little ecosystem,” explained Russell. Meanwhile, an unannounced heritage site that was unearthed three years ago during an environmental assessment, which revealed pottery and other fragments dating back thousands of years, will also be protected. As for the homes, the first plots will be available for handover in the first quarter of 2021. There are a range of modification possibilities for the villas, which are modular, modern and open, with glass-walled options and a heavy emphasis on indoor-outdoor living. The new mega mall in Masdar City is opening this April Have you noticed the awesome art displays on the E11 road to Abu Dhabi?